is open from February 11 – 22, 2019. Nominations must be submitted by 5 pm on February 22 to be eligible. Here’s how the contest works. Principals and vice principals nominate their schools to win $10,000 (1st place), $7,500 (2nd place) and $5,000 (3rd place). Voting for qualified schools will take place from March 4 to March 13 at 5 p.m. All voters must be at least 13-years-old to participate. The school with the most votes at the end of the voting window will win $10,000, the school with the second most votes will win $7,500 and third takes home $5,000. Winners will be announced Monday, March 18. This contest is now closed. If you have already submitted your nomination and verified your email address, check back to vote on March 4th. IMPORTANT NOTE: Once you submit your nomination, you will receive an email asking you to validate your email address. Click the link within the email. This will redirect you to a confirmation page. ONLY once you have reached the confirmation page will your nomination be considered valid. 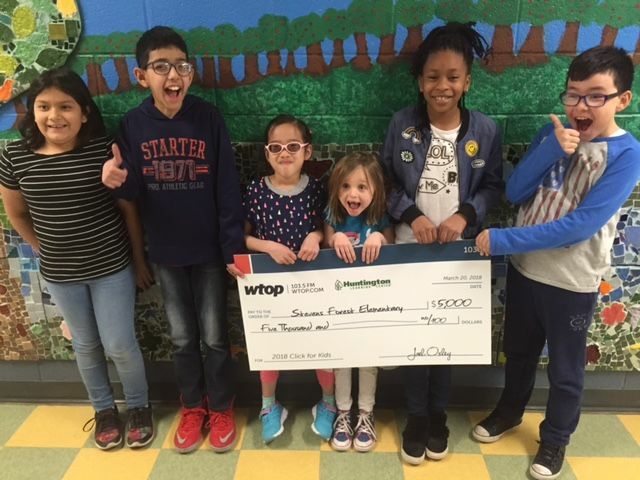 If you have any questions or do not receive the validation email, please email kids@wtop.com. For almost 40 years, Huntington’s highly trained tutors have worked with students of all ages and abilities to improve their grades and build self-confidence, organizational skills, and good study habits. Whether your child is struggling academically or just wants to get ahead, we can tailor a tutoring program that will achieve results. We can help unlock your child’s potential and send struggles packing with individualized tutoring in a number of academic fundamentals or major subjects. We understand that no two students learn alike. With subjects ranging from reading and writing to math and science, our tutoring programs provide personalized instruction based on each student’s individual needs. Regardless if they are struggling with poor homework habits to difficulties due to ADHD, at Huntington, we’ve helped thousands of students quickly improve their grades and build their confidence. We are dedicated to building academic success that will last a lifetime.